Background/Context: Probing is a simple operative procedure, can be performed easily in adults under local anesthesia, and is associated with minimal postoperative morbidity. The study aimed to determine the efficacy of probing in adults with epiphora due to common canalicular block (CCB) and nasolacrimal duct obstruction (NLDO). Materials and Methods: A prospective, interventional study was conducted on 44 patients with epiphora. Probing was done through upper and lower canaliculus under local anesthesia in all patients with epiphora due to CCB and NLDO. Probing was considered successful if the epiphora had been resolved or reduced to an acceptable level and if the lacrimal system was patent on lacrimal syringing for 6 months. Results: Patients comprised 36 women and eight men with the age group between 25 and 80 years who had epiphora for 3–24 months. Twenty-six patients had common CCB and 18 had complete NLDO. Complete patency was achieved in 12 and 5 and partial patency in 9 and 6 patients with CCB and NLDO, respectively. Treatment was successful in 72.72% of the patients. Ten patients underwent uneventful cataract surgery and 12 failed cases needed dacryocystectomy. Conclusion: Since probing is a simple, quick, cost-effective, and daycare procedure with low morbidity and obviates the need for further nasolacrimal surgery, probing can be recommended as an initial treatment in adults with epiphora. 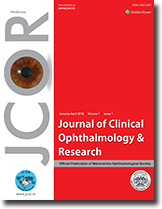 Purpose: The purpose of this study is to determine the percentage of difficult cataracts out of total cataracts admitted in a tertiary care center, to study the intra- and postoperative complications in patients with difficult cataracts undergoing cataract surgery, and to determine their visual outcomes. Materials and Methods: This is a retrospective, noncomparative, single-institutional, observational study. The study was conducted on patients who were admitted over 2 years (January 2013–December 2014). Of these, patients with difficult cataracts (according to inclusion criteria) were screened and preoperatively evaluated. These patients underwent manual small incision cataract surgery and were followed up on the 1st, 7th, and 40th postoperative days. These cases were monitored for postoperative visual acuity (VA) and complications. The postoperative complications were graded according to the Oxford Cataract Treatment and Evaluation Team (OCTET) definitions and analyzed. Results: Of 5766 patients, 1858 (32.2%) patients presented with difficult cataracts. Hypermature and mature cataracts (24.9%), hard cataracts (20.02%), and pseudoexfoliation (33.04%) constituted as the major causes. Of these, 820 (44.1%) patients presented with no complications postoperatively. According to the OCTET grading, 44.9% of patients had Grade I, 9.5% had Grade II, and 1.83% had Grade III complications; the most common postoperative complication was corneal edema (39.2%). A total of 21.9% had VA <6/60 on postoperative day 1, which reduced to 5.27% on day 40 (P < 0.001). The patients with V/A >6/18 increased from 44.1% on day 1 to 61.8% on day 40 (P < 0.001). Conclusion: Visual morbidity remains high among patients with difficult cataracts, especially in patients with pseudoexfoliation and corneal pathology. Patients with hypermature cataract and Grade III–IV cataracts have a better visual outcome. 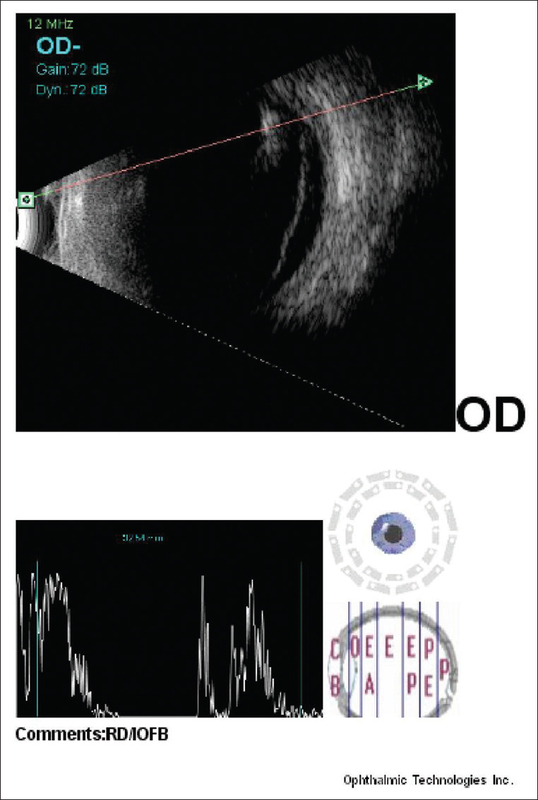 Background: The objective of this study is to assess the changes in choroidal thickness in patients with type 2 diabetes with diabetic macular edema (DME) and diabetic retinopathy (DR), using enhanced-depth imaging (EDI) spectral domain optical coherence tomography (OCT). Materials and Methods: A total of 164 eyes from 104 patients were divided into no DR, DR without DME, and DR with DME. Eyes were also divided according to subtypes of DME. Subfoveal choroidal thickness (SFChT) and parafoveal choroidal thickness (PFChT) at 500 μm, 1000 μm and 1500 μm were measured using EDI-OCT and compared across groups. Results: A sample of 104 patients with diabetes consisted of 28 females and 76 males. The adjusted mean SFChT was 266.1 ± 42.40 μm in no DR eyes, 258.32 ± 39.52 μm in DR without DME eyes, and 246.11 ± 35.42 μm in DR with DME eyes (P = 0.028). The adjusted mean SFChT was 242.5 ± 33.04 μm in spongy edema eyes, 242.05 ± 39.73 μm in cystic edema eyes, and 247.9 ± 39.54 μm in serous retinal detachment eyes (P < 0.006). Conclusions: In eyes with DR, there is an overall thinning of the choroid on EDI-OCT. 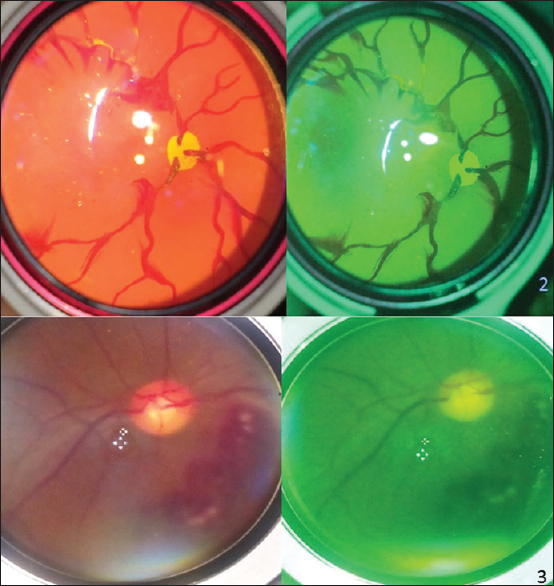 The subfoveal choroid was significantly thinner in eyes with DR and DME, specifically in cystic type of DME, as compared to those without DR. A decreased choroidal thickness may lead to tissue hypoxia and consequently increase the level of vascular endothelial growth factor, resulting in the breakdown of the blood-retinal barrier and development of macular edema. Background: To address the issue of ATR astigmatism in patients who undergo temporal manual small incision cataract surgery (MSICS) surgery. Aim: The aim is to find out whether an incision that is made parallel to the limbus (curvilinear) while doing temporal MSICS can reduce the preexisting against-the-rule astigmatism (ATR). Settings and Design: The study was conducted on those patients who came for cataract surgery in a government general hospital. Materials and Methods: One hundred and five patients with cataract and ATR astigmatism of ≥1D were divided into three groups each with 35 patients. Group A patients underwent curvilinear incision temporal MSICS, Group B straight line incision temporal MSICS, and Group C limbal incision temporal phacoemulsification. The amount of change in ATR astigmatism in each group was calculated by comparing preoperative and postoperative keratometry readings. Statistical Analysis: All data were evaluated using SPSS version 19.0. To test the significant difference between pre- and post-operative astigmatism in each group, paired t-test was used. To test the significant difference in astigmatism between the three groups, ANOVA was used. Results: The reduction in the mean astigmatism in Group A was 0.89D, in Group B 0.62D, and in Group C 0.086D. The significant reduction of the ATR astigmatism in Group A and Group B could be due to the flattening of the horizontal curvature which is higher in patients with ATR astigmatism. Among these two groups, the curvilinear incision produced more flattening than the straight line incision. Conclusion: If a curvilinear (limbus parallel) is done while doing temporal MSICS in patients with higher ATR astigmatism, there can a significant reduction of ATR astigmatism giving a better uncorrected visual acuity. Successful management of intraocular foreign body (IOFB) is deemed possible by the advent of superior surgical procedures, even in those patients who present late. We report a case of a 46-year-old male, who presented with sudden onset of defective vision in his right eye of 2 days duration and with a previous history of trauma following bulb blast at the age of 5 years. Examination revealed retinal detachment with multiple intraocular glass foreign body in his right eye. The primary management, in this case, was phaco-aspiration of lens through limbal tunnel, scleral buckling, 23G pars plana vitrectomy, IOFB removal through anterior segment, endolaser, and silicone oil injection. After 6 months, silicone oil was removed, and posterior chamber intraocular lens was implanted. This is a rare case wherein multiple glass IOFBs had remained quiescent in the eye for more than four decades resulting in retinal detachment at a later date and successful management with good visual outcome was possible. A 50-year-old female farmer, with a history of vegetative trauma, presented to a tertiary eye care center, with right eye ulcerative keratitis, initially treated elsewhere as fungal keratitis, refractory to conventional antifungal therapy. A corneal scraping was done and it revealed Gram-positive filamentous Actinomyces bacteria. Treatment with topical penicillin (100,000 U/ml) showed a complete resolution of the corneal infection, within 2 weeks of therapy. Actinomyces keratitis is a rare clinical condition. 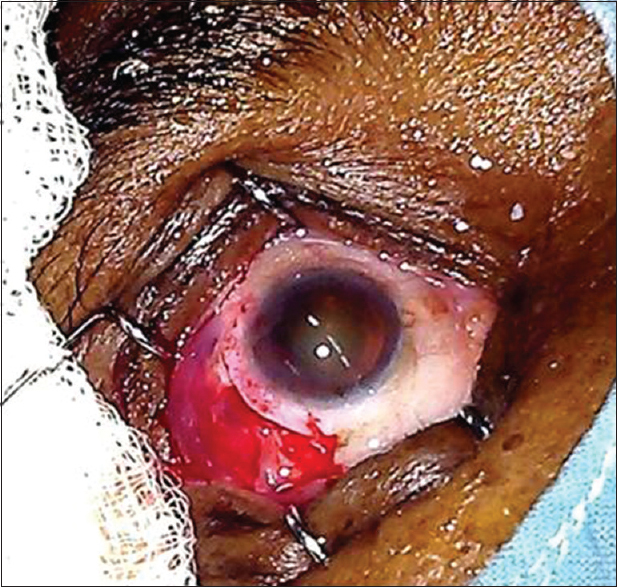 A history of ocular vegetative trauma, with a clinical picture similar to fungal keratitis, leads to delay in the diagnosis of such rare presentations of posttraumatic keratoactinomycosis, which otherwise shows a good response to topical penicillin therapy. A corneal scraping done helps in timely diagnosis and effective treatment. Malingering and dissociation coincide with the mode of presentation. Dissociation and attention-deficit hyperactivity disorder (ADHD) can coexist due to their similar etiology. We report a case of dissociative disorder in a boy with ADHD presenting with sudden visual diminution. To our knowledge, though common, such case has not been reported in the literature. A 9-year-old boy, a case of ADHD on atomoxetine (25 mg) and risperidone (0.25 mg), was brought by his apprehensive mother, with sudden diminution of vision in his right eye for 1 week. On examination, his visual acuity was 20/120 in the right eye and 20/20 in the left eye, even on repeating with various charts. His anterior segment, fundus, and cycloplegic retinoscopy were normal. Visually evoked potential was normal in both the eyes. With a suspicion of malingering, +20D in front of the left eye. The test was positive for malingering, and the mother was reassured. The kid was sent to the psychiatry department for further counseling. They diagnosed it as a dissociative disorder. Simple tests for malingering still have an important role in ophthalmology. Children cannot be underestimated in their ability to malinger, but at the same time, dissociative disorder should be borne in mind before labeling a patient as a case of malingering. Because once the label of malingering is given, then it is a human tendency to form a prejudice idea about that patient and later that the patient would not get proper medical assistance. Introduction: Infectious keratitis is potential causes for vision loss in India. Early recognition with prompt diagnosis and rapid institution of appropriate therapy will significantly improve visual prognosis. Aim: The aim of this study was to evaluate the incidence of various causes of infectious keratitis in this part of rural central India, predisposing factor and visual morbidity. Materials and Methods: This was a prospective observational hospital-based study conducted at the Department of Ophthalmology, at a tertiary care hospital, in the part of rural central India. Data related to socioeconomic status, predisposing factor, and course of disease was collected. Results were analyzed on the basis of history, slit lamp examination, and appropriate laboratory investigation. Results: During the period of January 2015 to February 2017 total 680 patients were examined in cornea specialty clinic, of which 88 were diagnosed with infective keratitis and were included in the study. 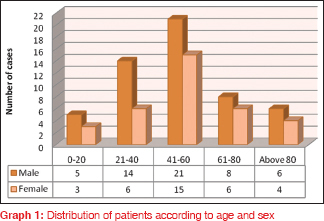 Majority of patients of infectious keratitis were in between 41 and 60 (41%) age group followed by 21–40 (23%) and incidence in male was higher (61%) as compared to female. Prevalence of Fungal keratitis (59.09%) was higher than bacterial (19.31%) and viral (17.04%) in this part of India. Ocular trauma and occupational accidents were the most common (42%) among farmer. Majority of corneal ulcer (68%) healed, 11% had no change in ulcer status, 4% was progressed, and 10% perforated. About 53% had stable best-corrected visual acuity (BCVA) as compared to BCVA at the time of presentation and in 34% BCVA improved. Conclusion: Incidence of fungal corneal ulcer is higher among various causes of infectious keratitis in this part of rural central India. Agricultural injuries are the main predisposing factor for infectious keratitis in this region. Prompt diagnosis and early appropriate treatment on the basis of laboratory investigation can helps the community to reduce the burden of corneal blindness.